Patients will continue to require scrupulous care and treatment in the aftermath of their surgical procedure, and as a leading source for innovations in the medical field, SunMedica has the most effective solutions for your healthcare facility's wound management needs. Pain, infection and delays in healing are all potential risks if surgical sites aren't properly taken care of following an operation. SunMedica understands the need for patients to heal thoroughly yet in a timely manner and has designed a range of products beneficial for post-operative wound care in an effort to prevent further trauma and help make wound management easier on health care providers. Utilizing our wound management products, which are simple enough to apply and remove, will also assist in guiding patients through the healing process in a smoother and more bearable way. Whether your patient needs compressive support, cold therapy for a sports-related injury or soft tissue protection after a hip surgery, SunMedica's collection of wound management solutions will efficiently provide the pain relief and/or treatment you're looking for. If your medical facility is using SunMedica products, you can be certain your patients are receiving superior care and benefiting from the best healing techniques and strategies possible. Contact a SunMedica representative today to learn about the various high quality wound management products we design and how your healthcare facility can receive free samples. Preferred by the respected Orthopedic Surgeon, Dr. Larry Dorr, the hipGRIP™ is a 20-piece modular Lateral Positioning System which provides positive pelvis control. Low profile keeps positioners out of a surgeon’s way. 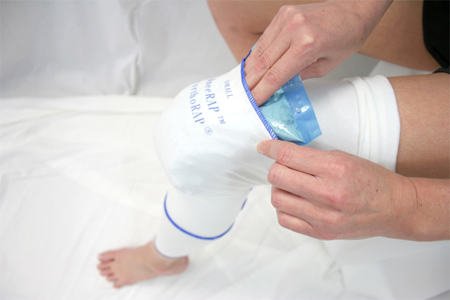 The hipRAP™ is a tapeless Spica wrap used for post operative patient care. It provides gentle soft tissue support while securing sterile dressings in place. 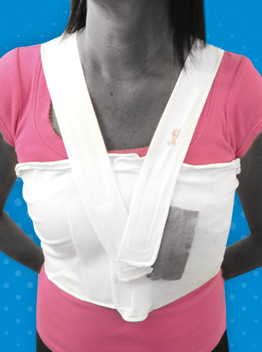 The hipRAP™ is made from the finest quality of stretch absorbent material and also features velcro® closures. The koolPAK® is made from a patented phase-change material that provides regulated cold therapy for post-operative surgical wounds.